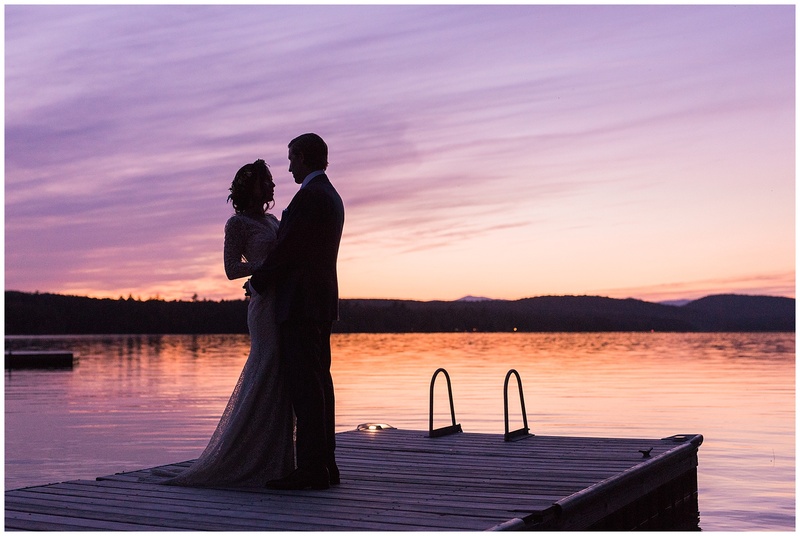 Bobby and Sarah came all the way from California to have a destination wedding here in Maine. 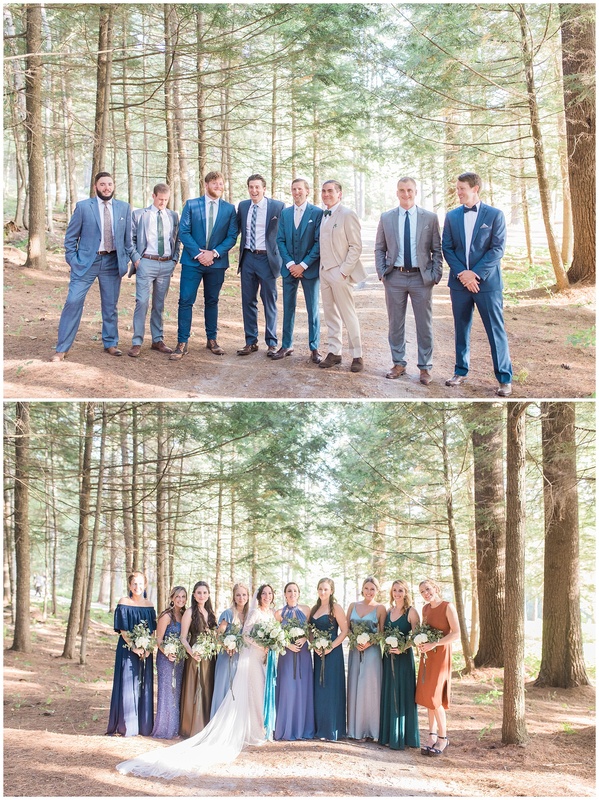 Their friends and family made the trip as well, enjoying some beautiful September weather here in “Vacationland”. 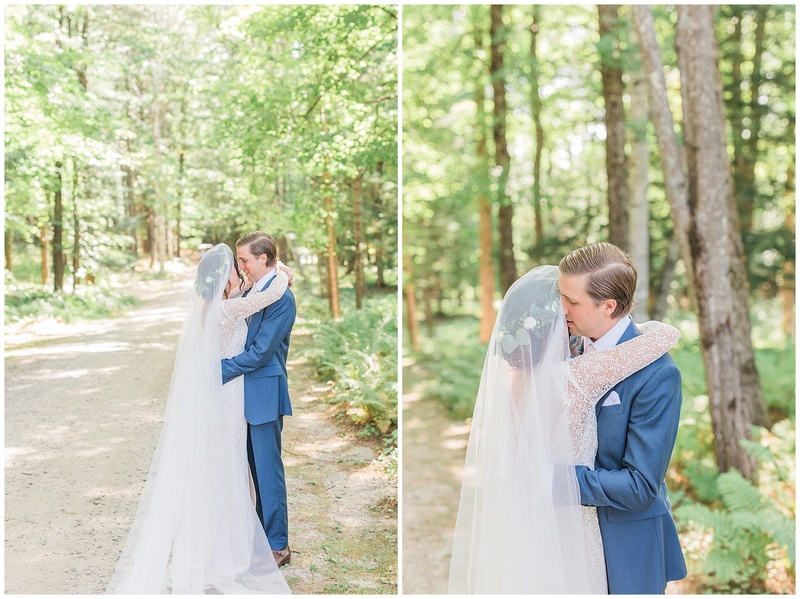 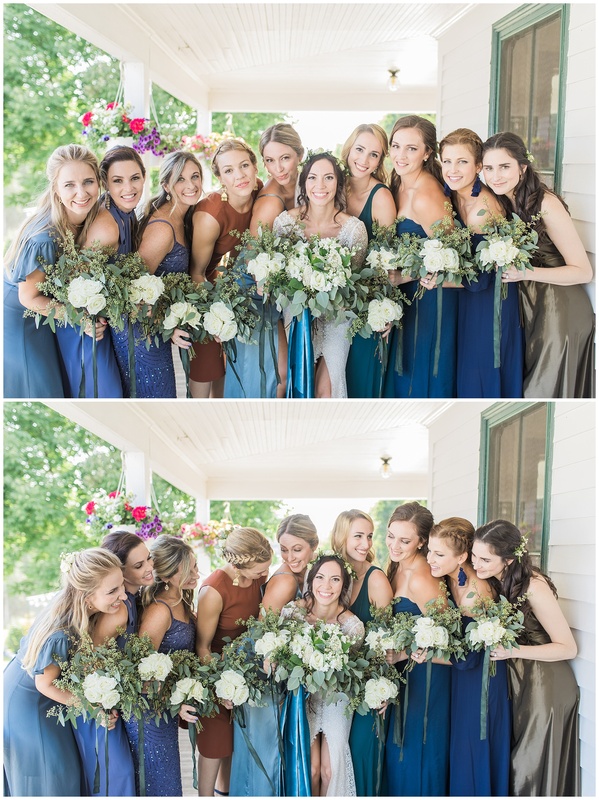 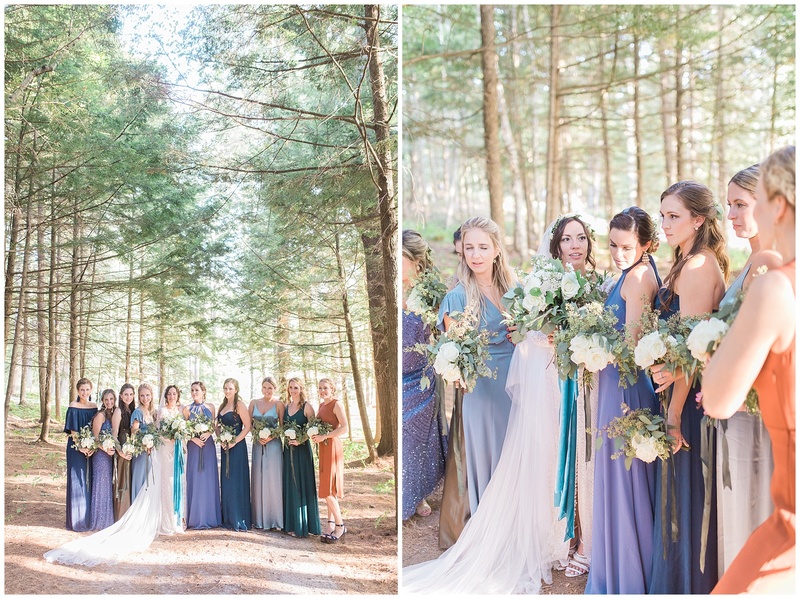 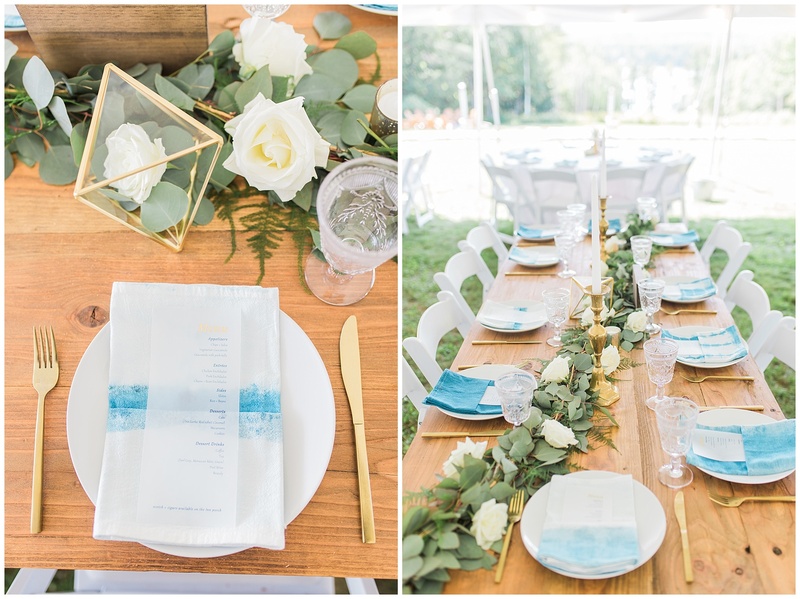 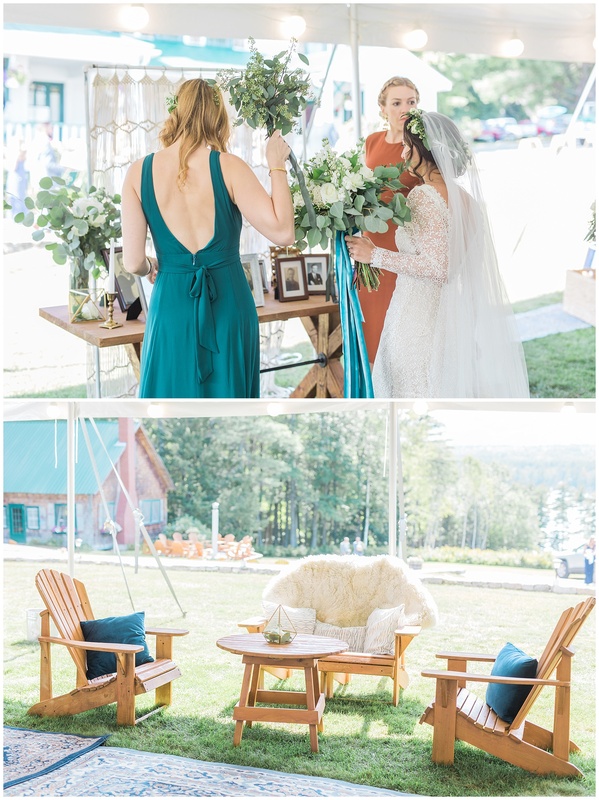 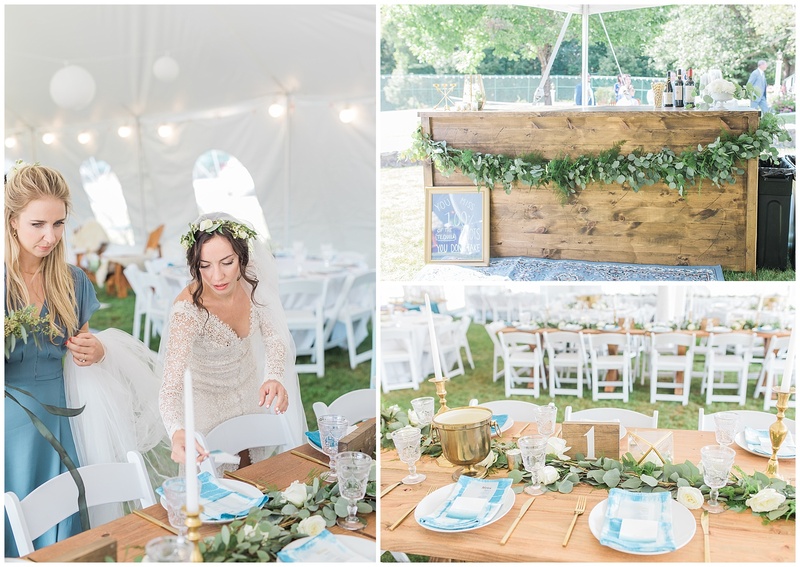 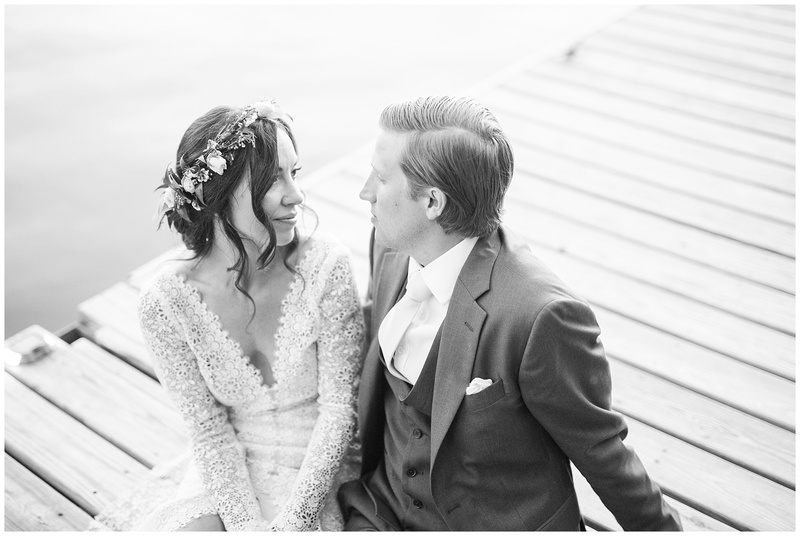 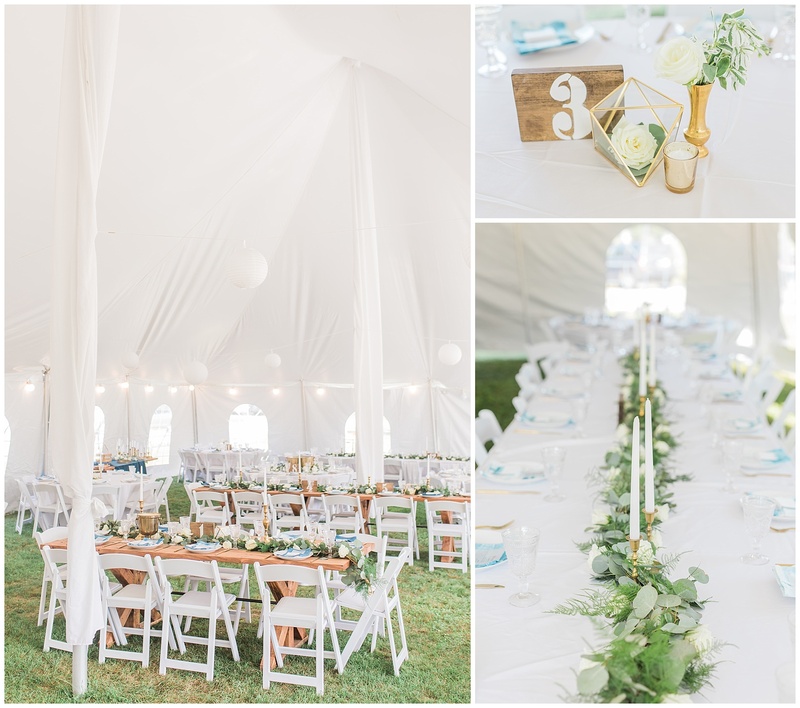 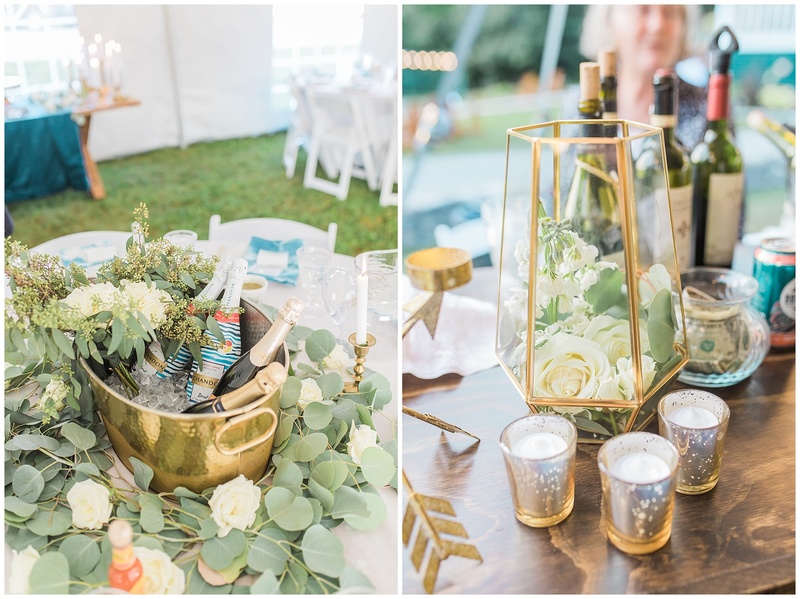 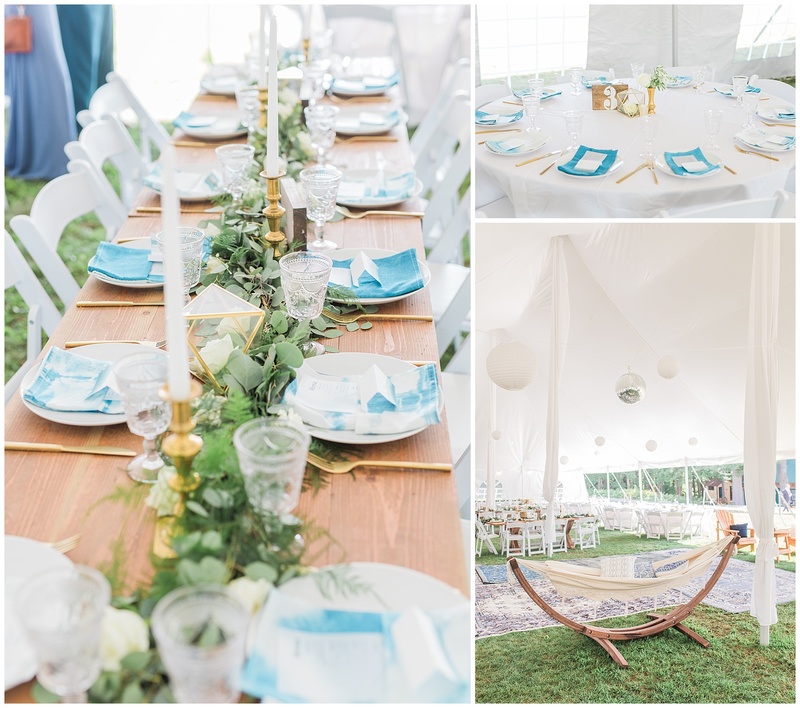 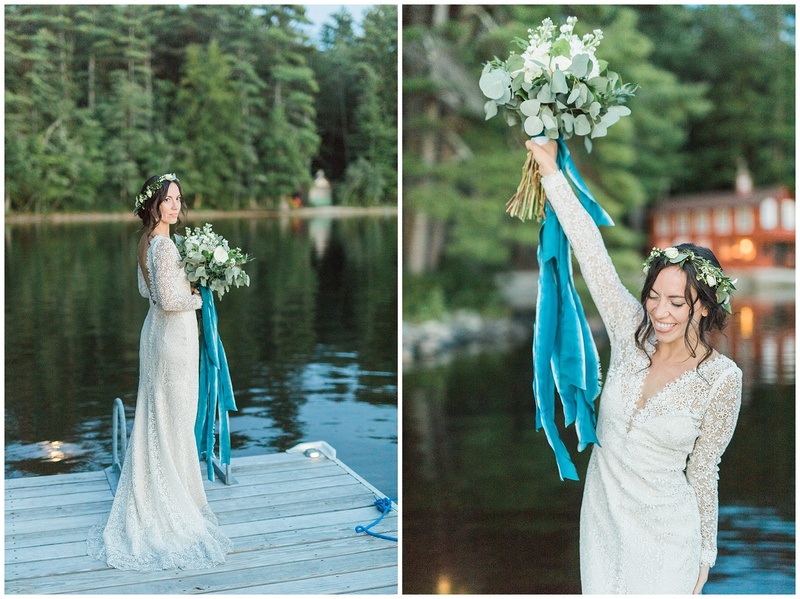 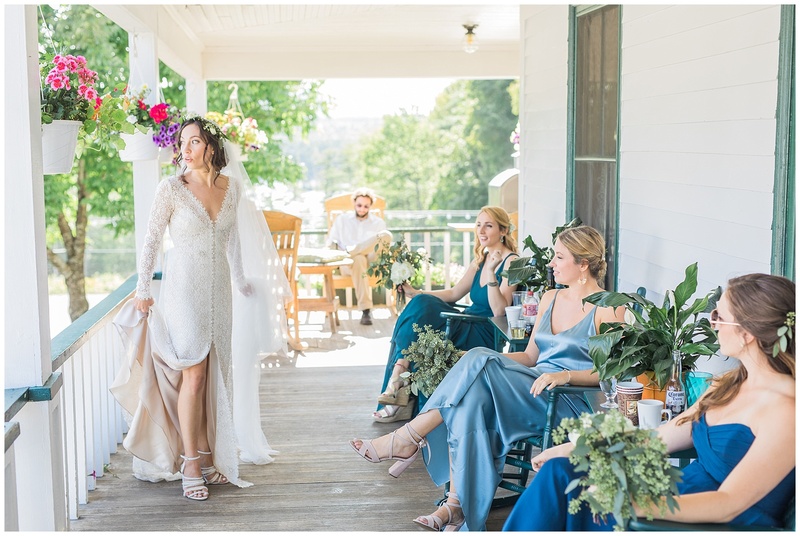 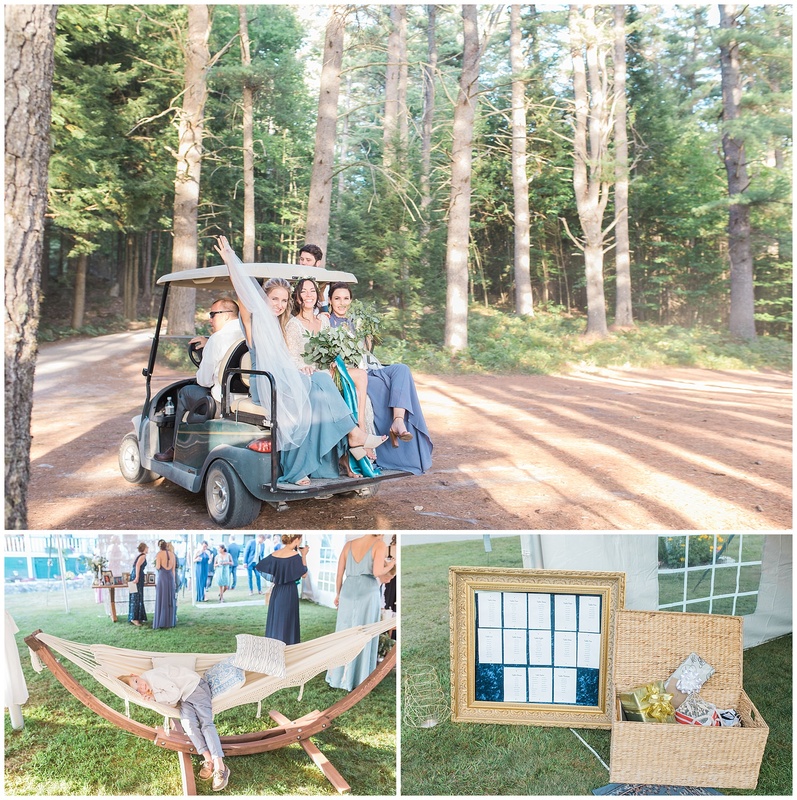 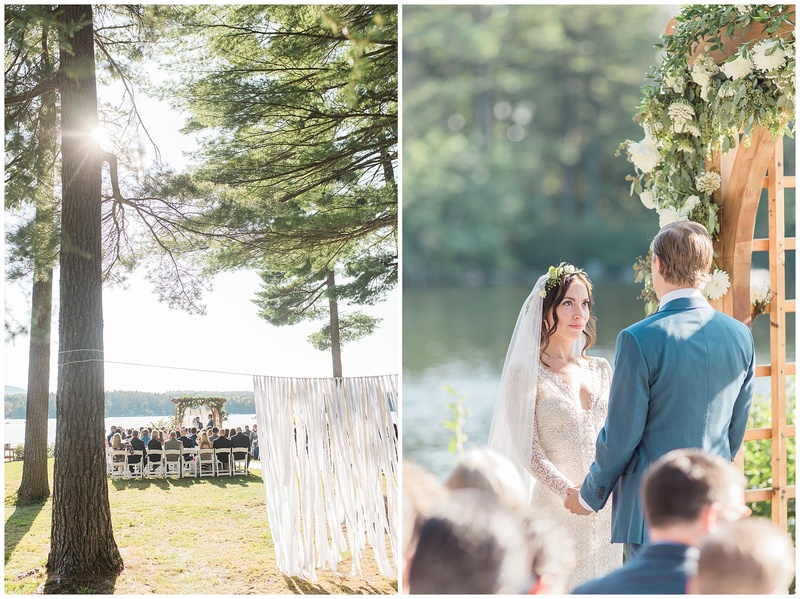 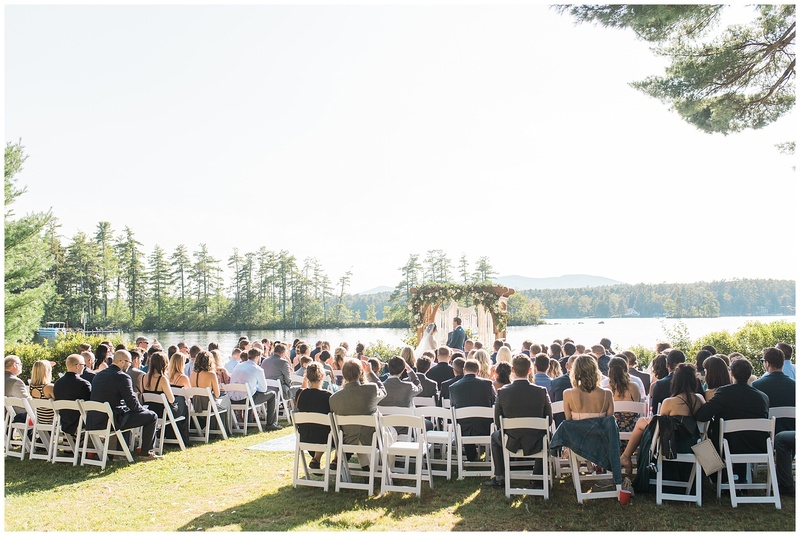 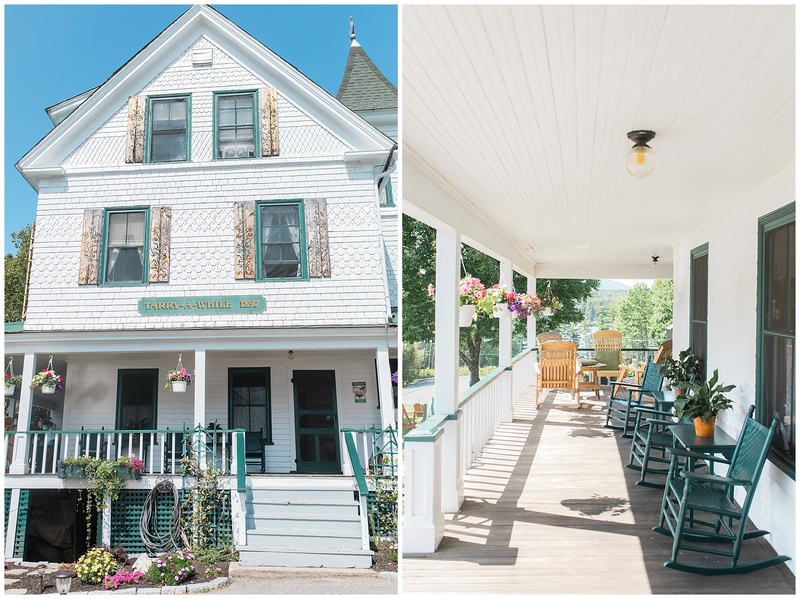 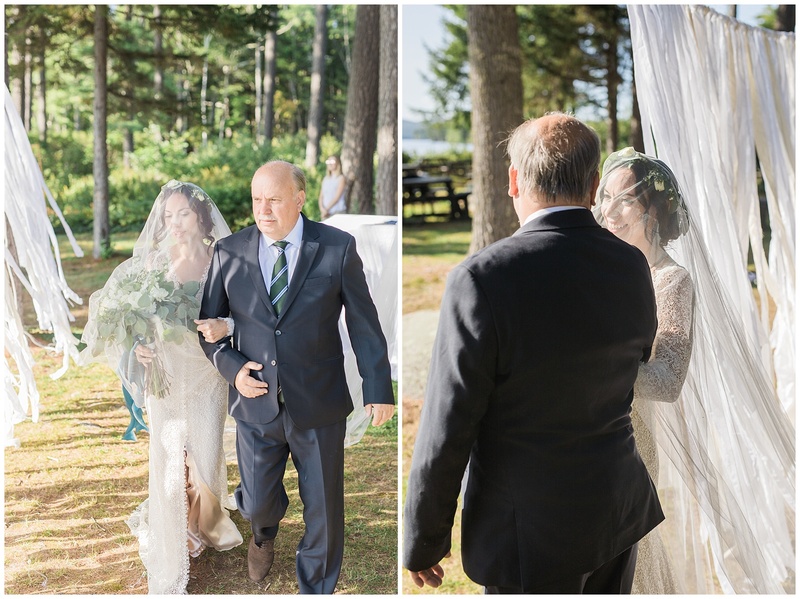 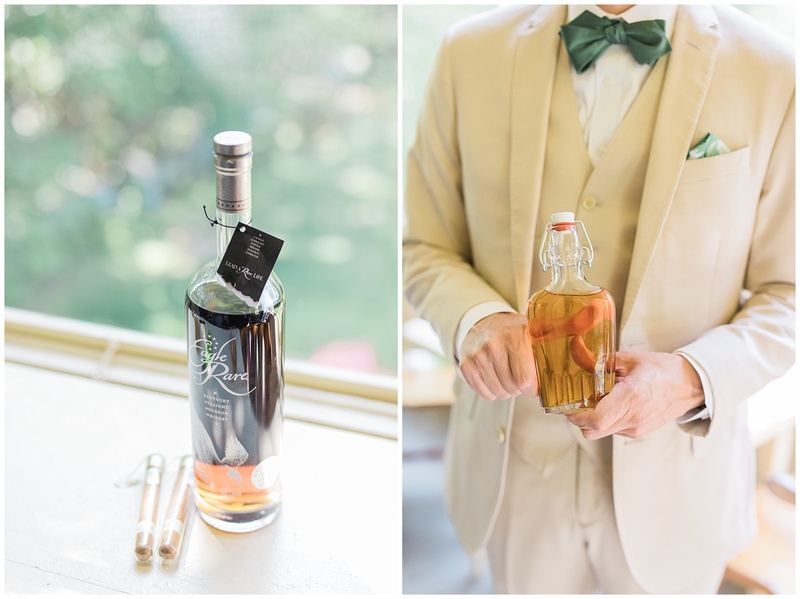 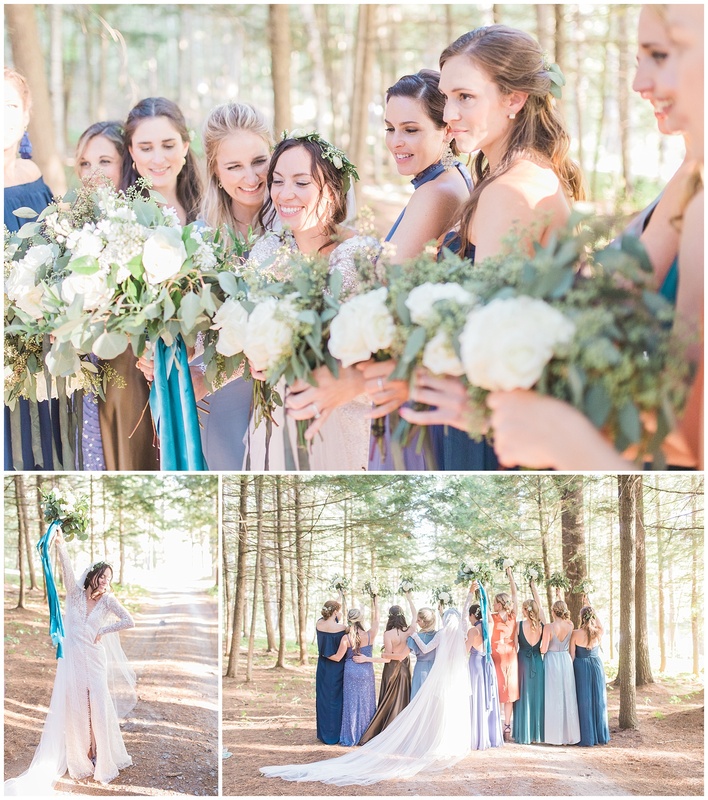 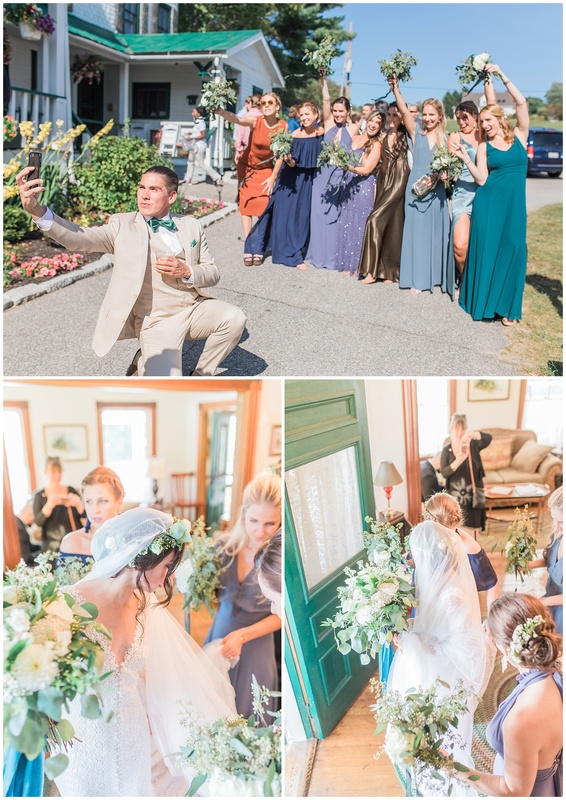 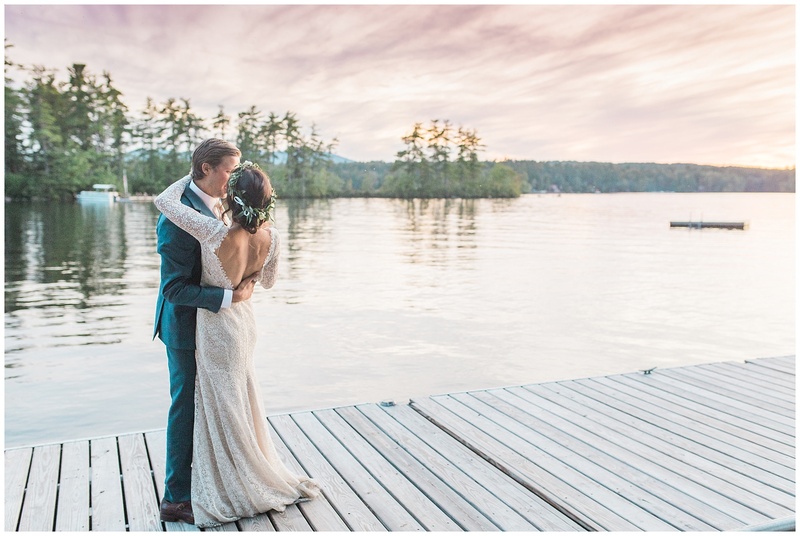 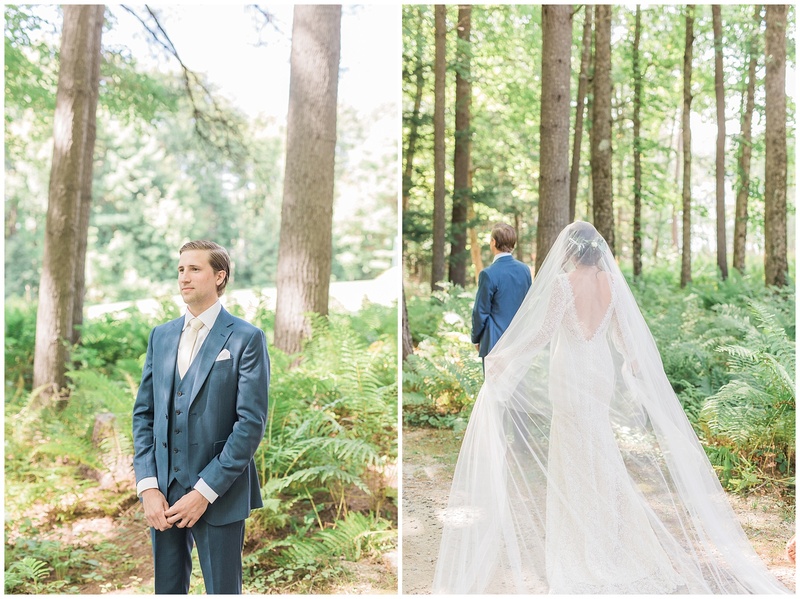 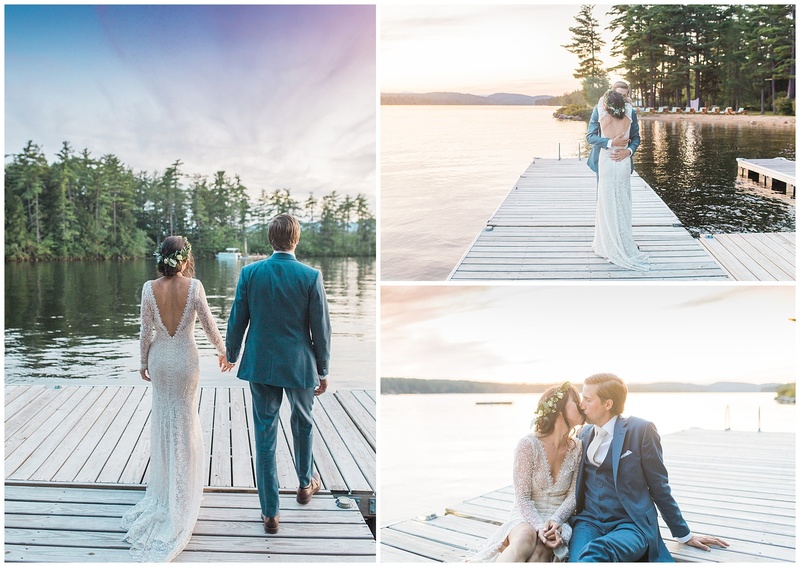 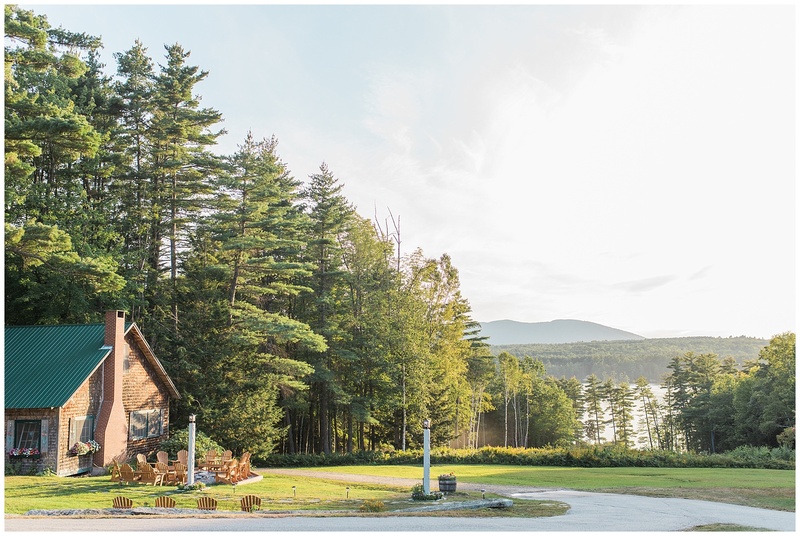 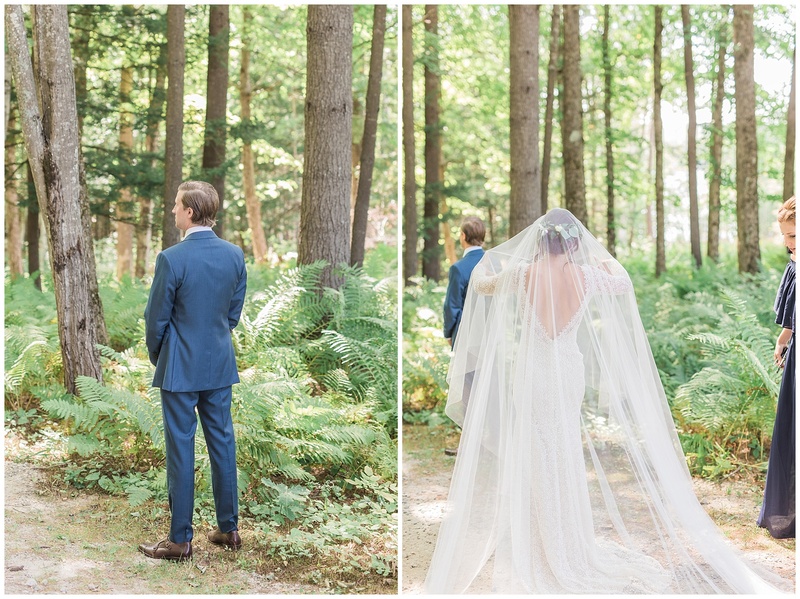 An elegant, modern wedding at Tarry A While Resort in Bridgton, Maine – you’re going to want to see this for yourself! 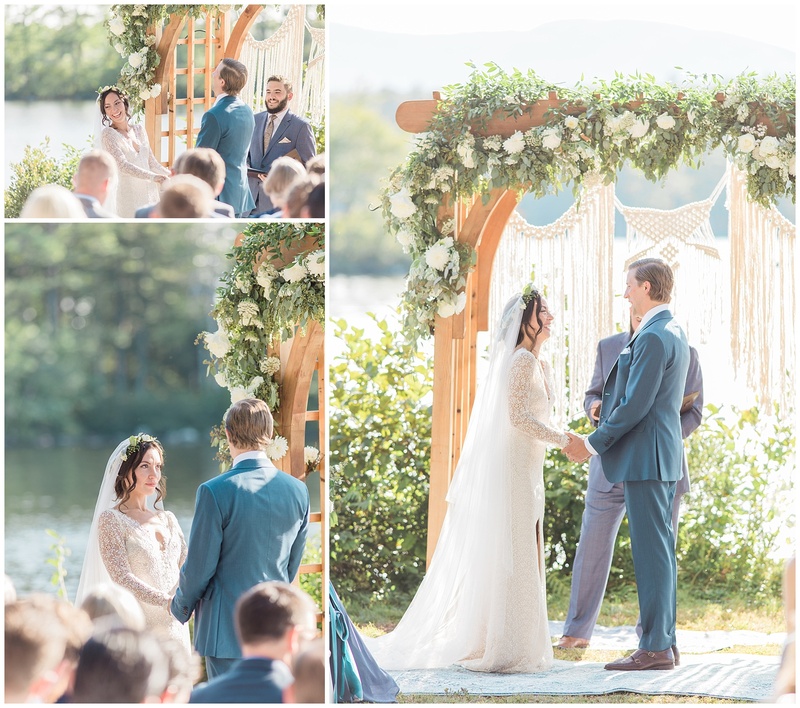 Sarah and Bobby had planned the wedding themselves, and walking into this wedding, there were stunning details every where I turned. 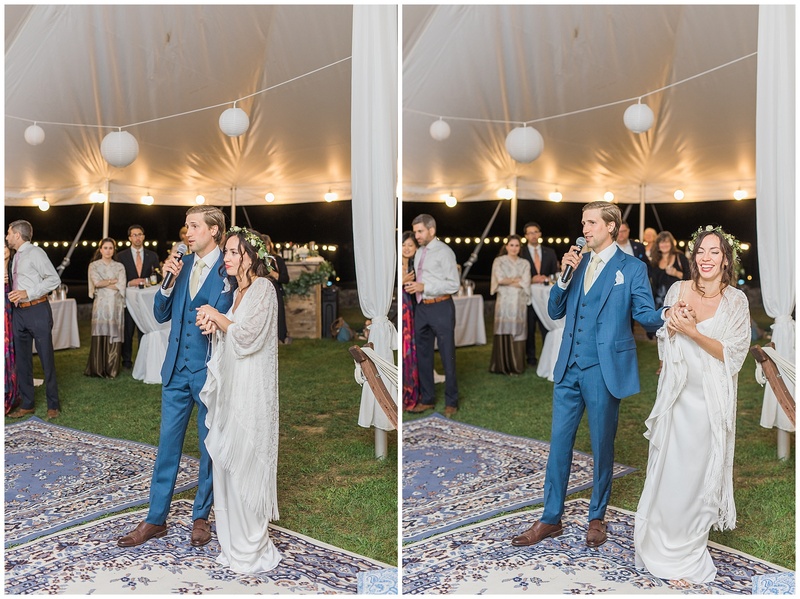 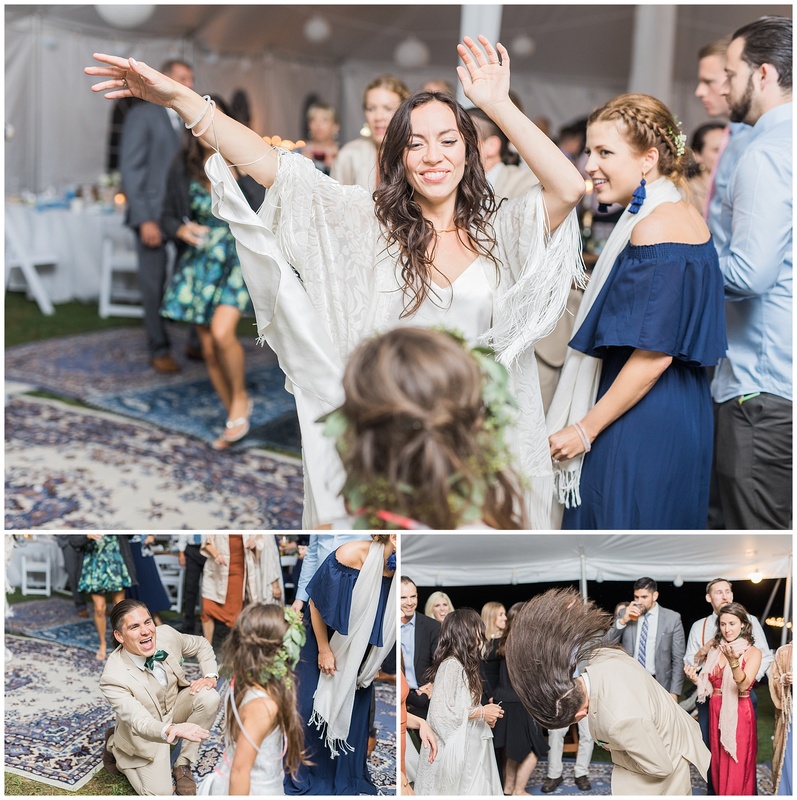 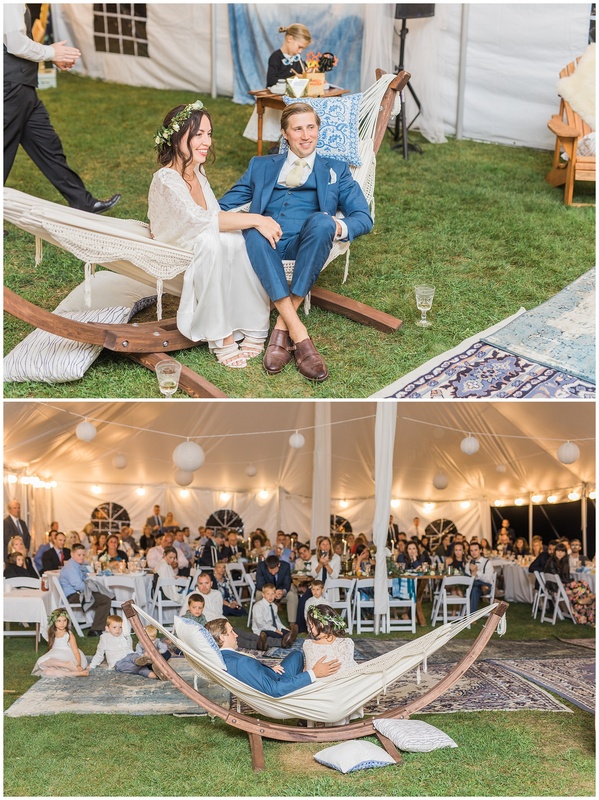 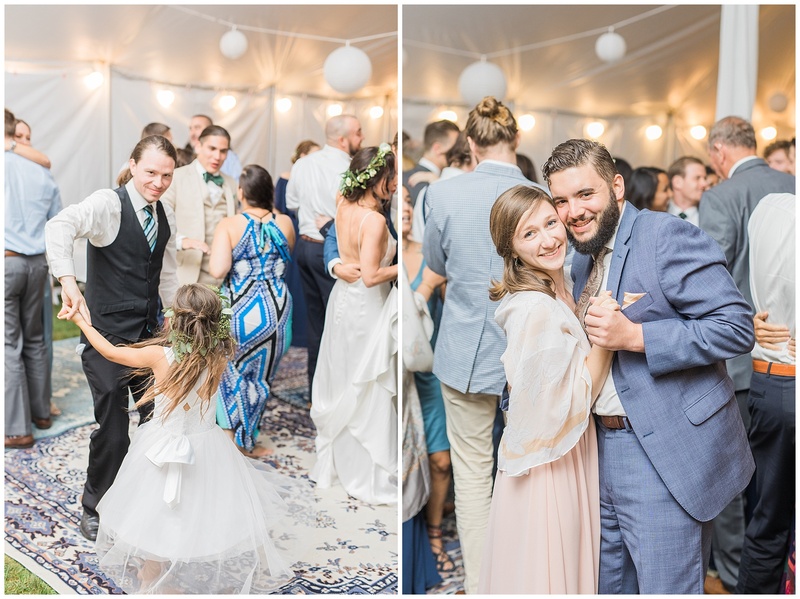 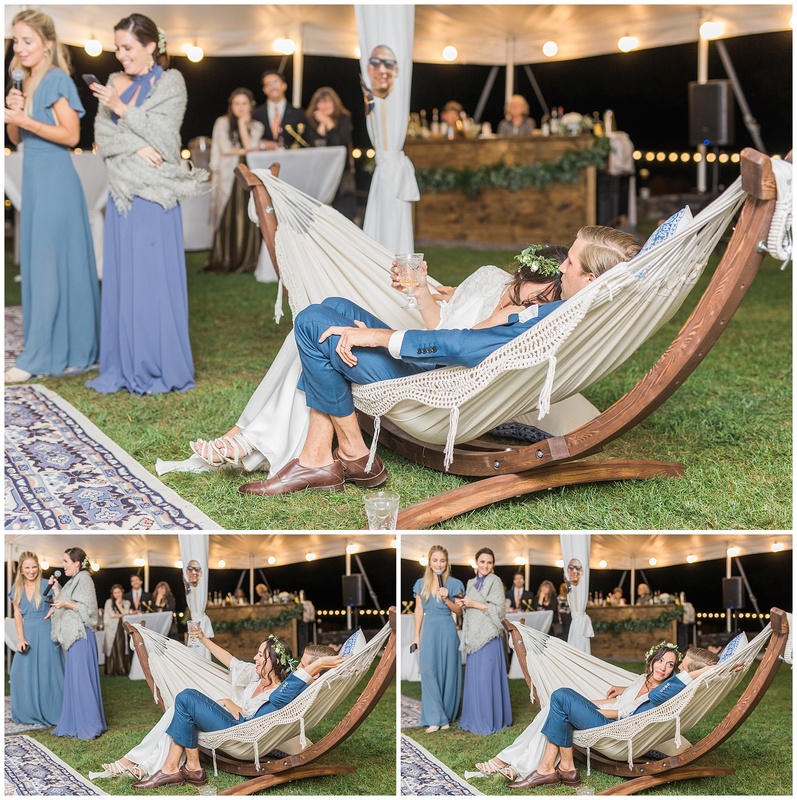 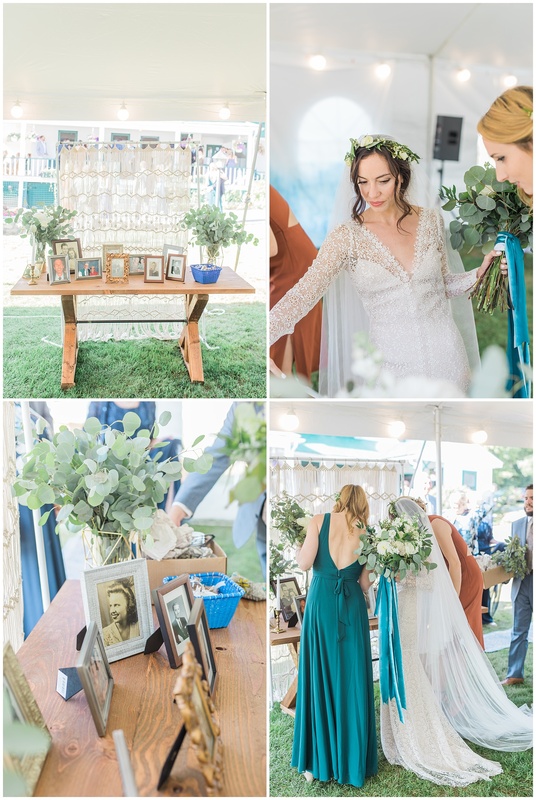 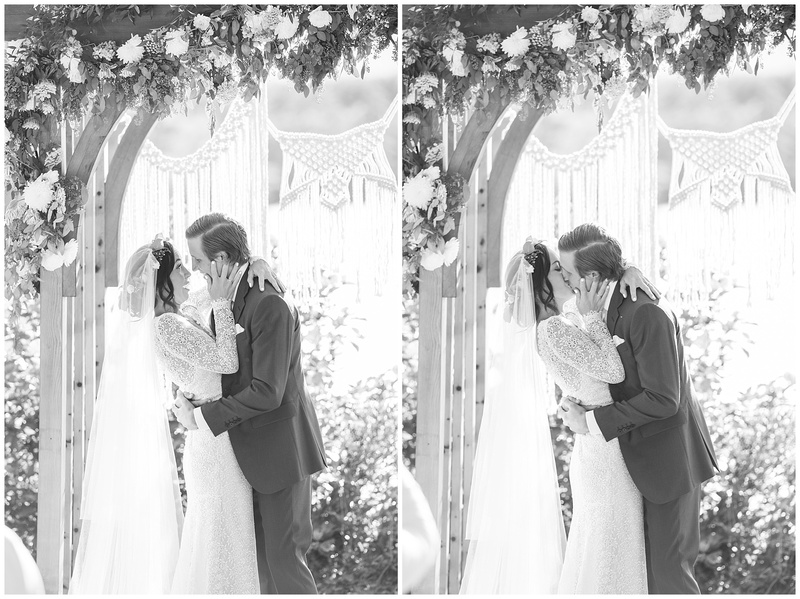 From the macrame hanging from the ceremony arbor and the memory table, to the oriental rugs used as a dance floor, this wedding was a dream! 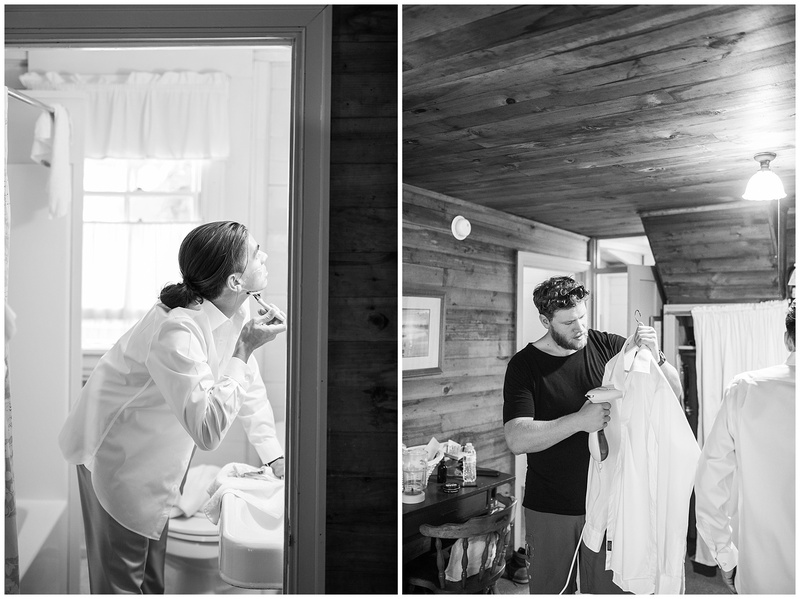 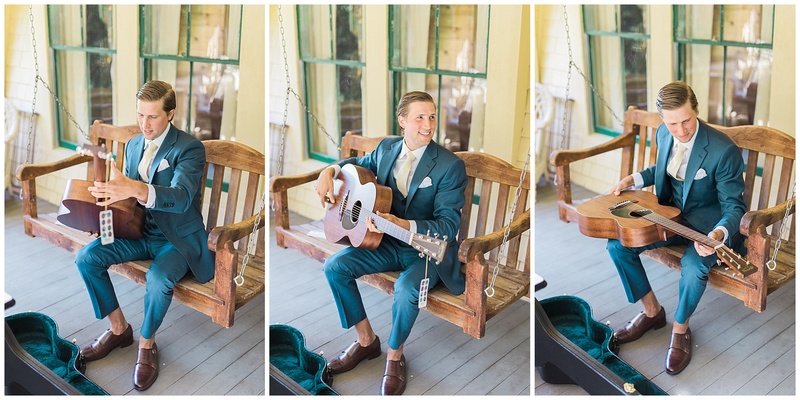 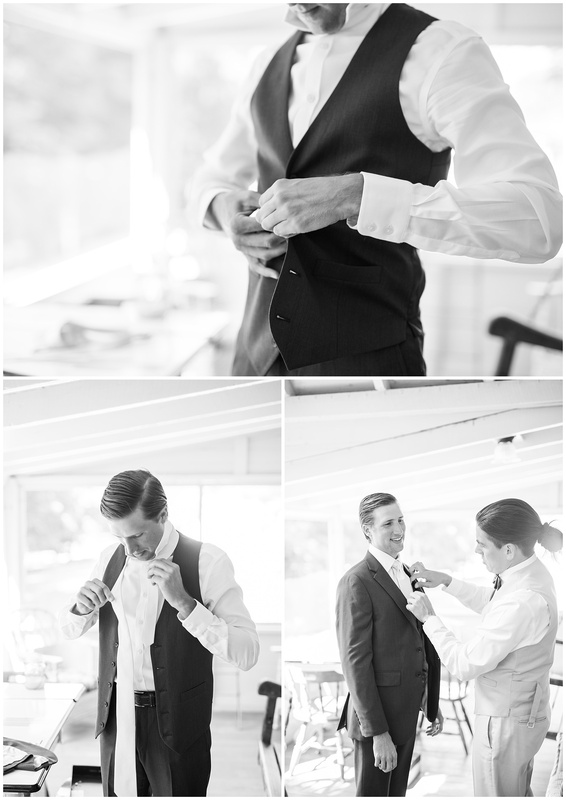 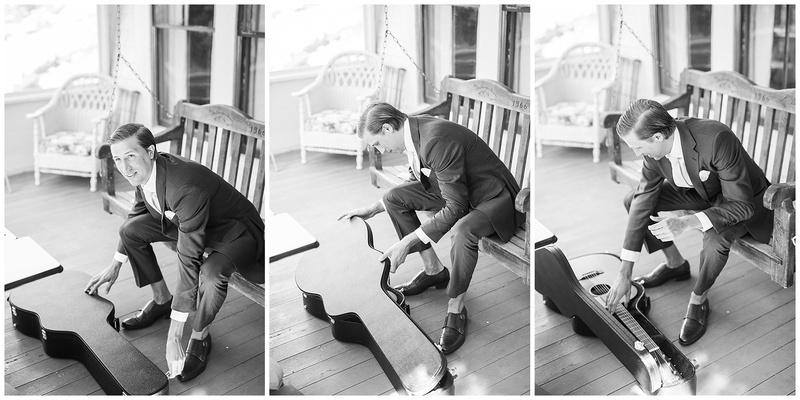 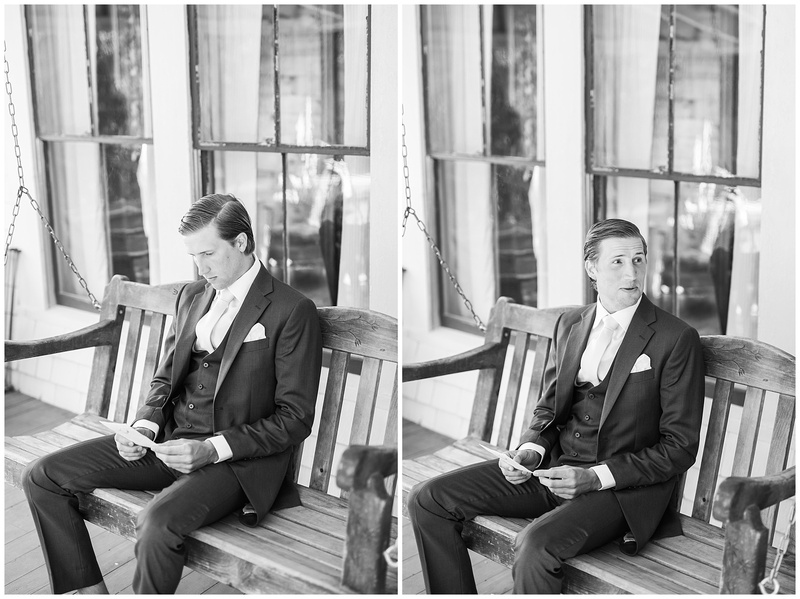 As the second shooter, you’ll notice that what’s missing from this collection of images is the bride getting ready. 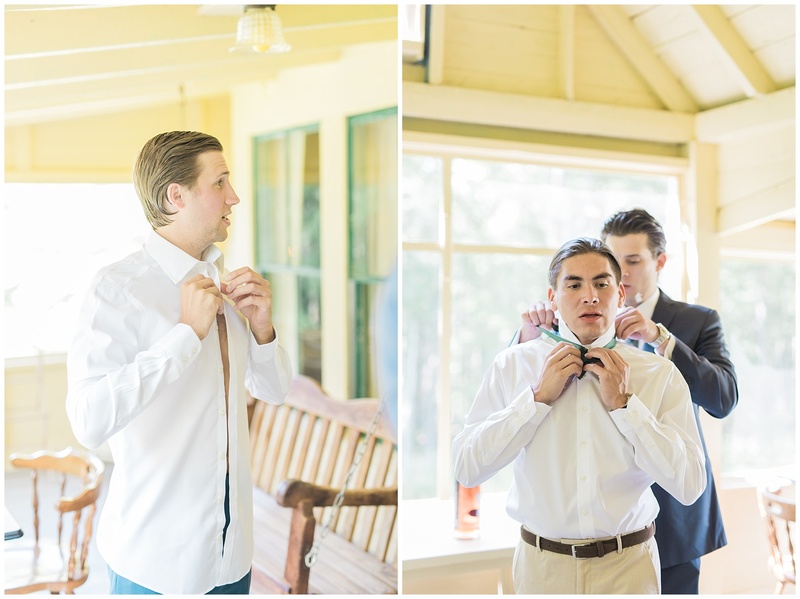 The main photographer, Nate, stayed with Sarah and her bridesmaids as they got ready, and I stayed with the guys, so you’ll see plenty pictures of Bobby getting ready instead! 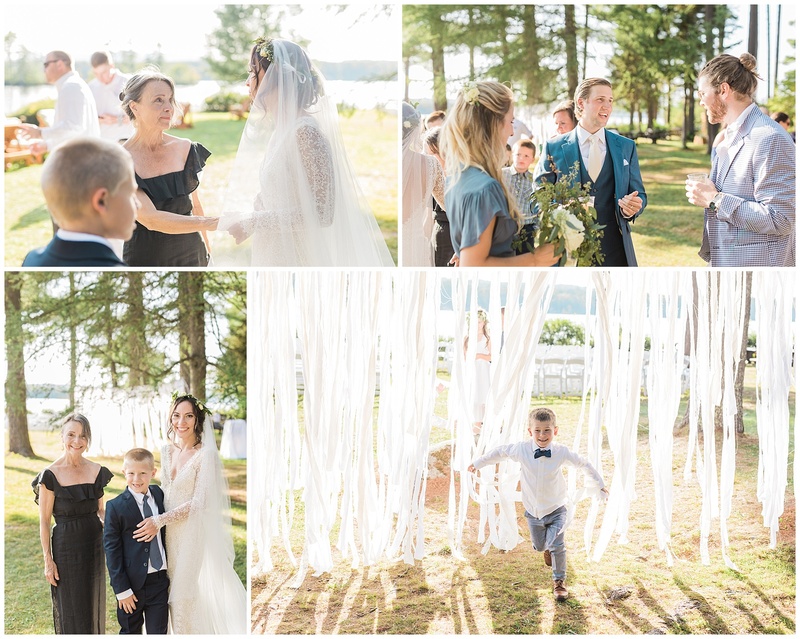 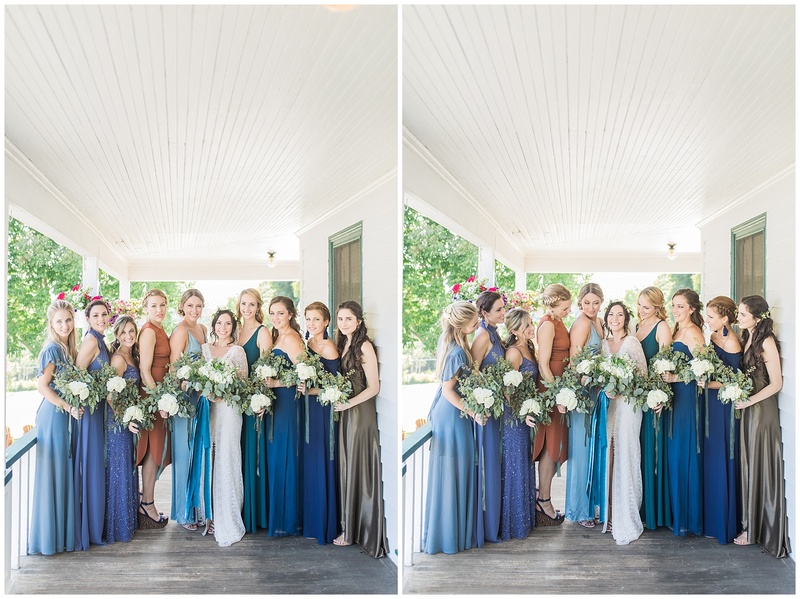 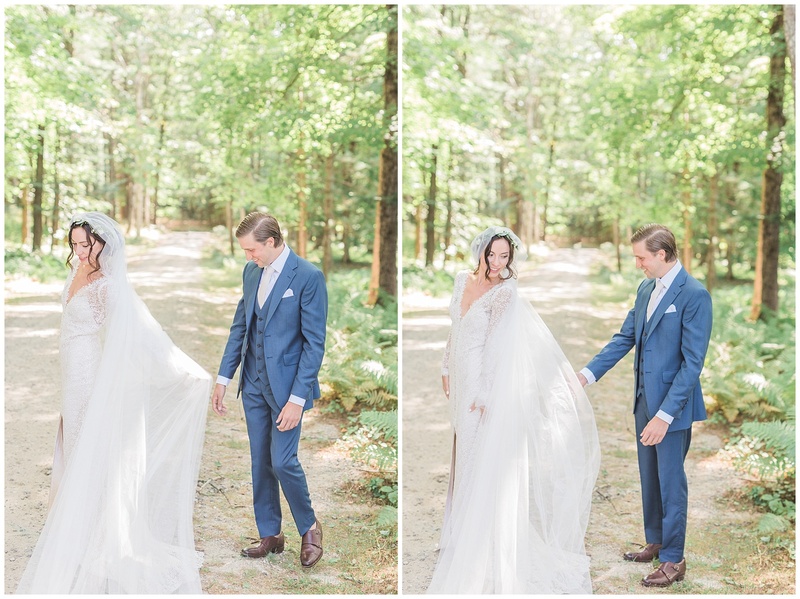 Scroll down to read more and see all the images of this incredible wedding! 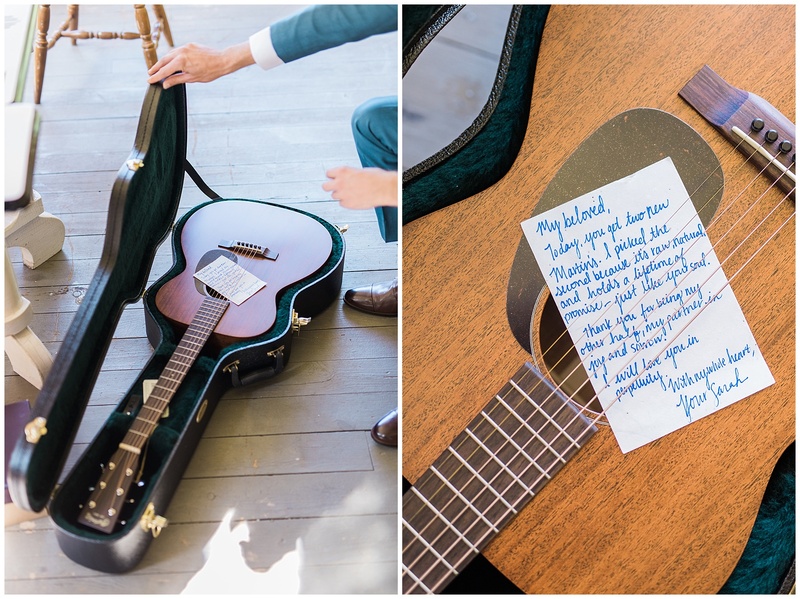 A Martin guitar! 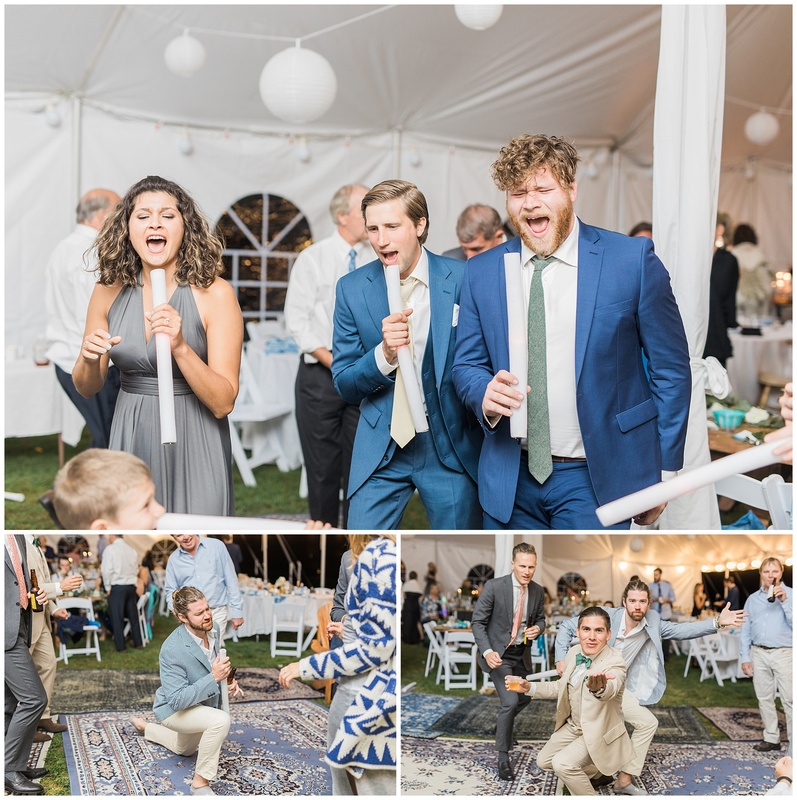 Bobby was very surprised and excited! 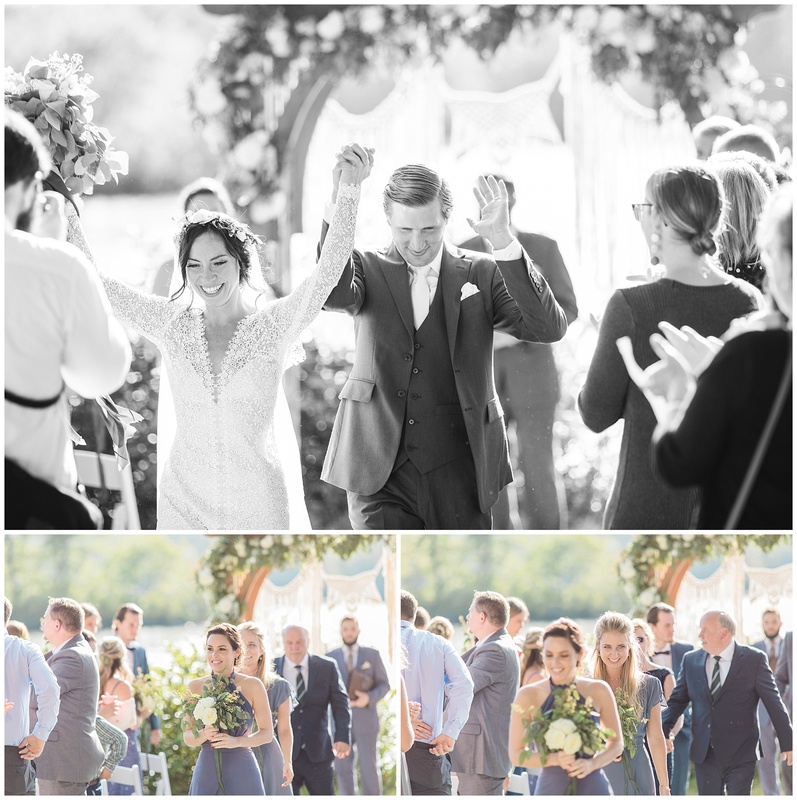 Bobby also had a surprise for Sarah that day – this STUNNING ring below! 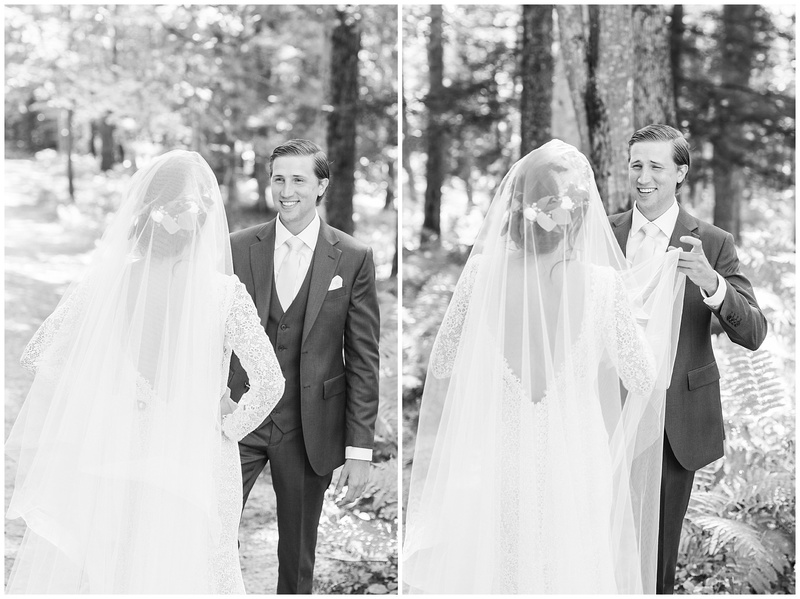 Bobby and Sarah chose to do a first look that morning, where they see each other before the ceremony. 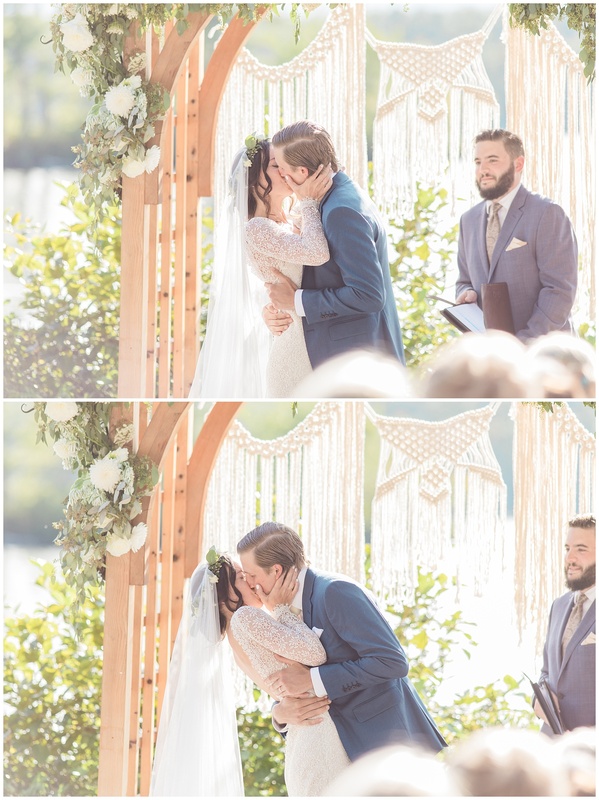 I love this sweet moment between the two of them! 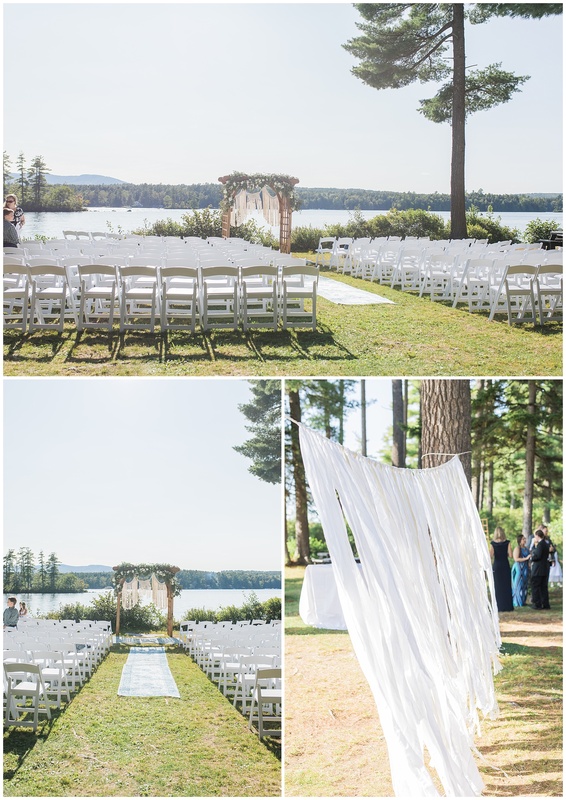 The Tarry A While Resort has a lakefront area where the ceremony was held. 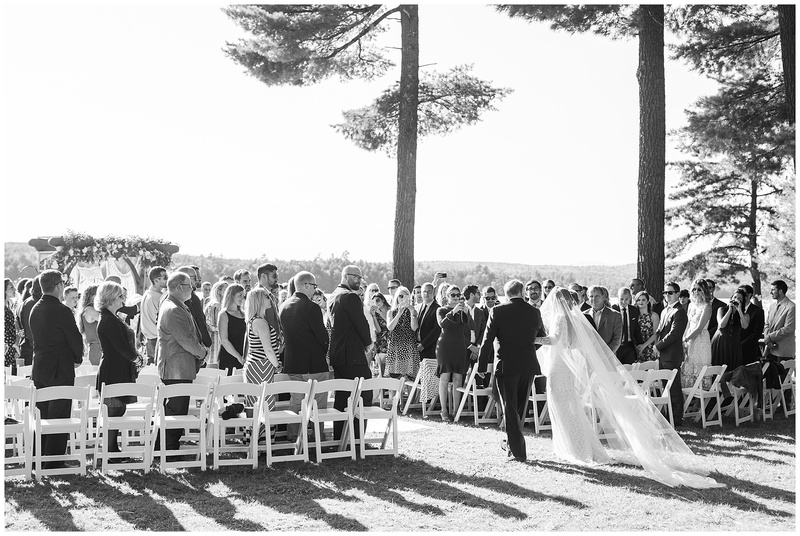 This was at the bottom of a large hill, and guests were escorted down by golf carts. 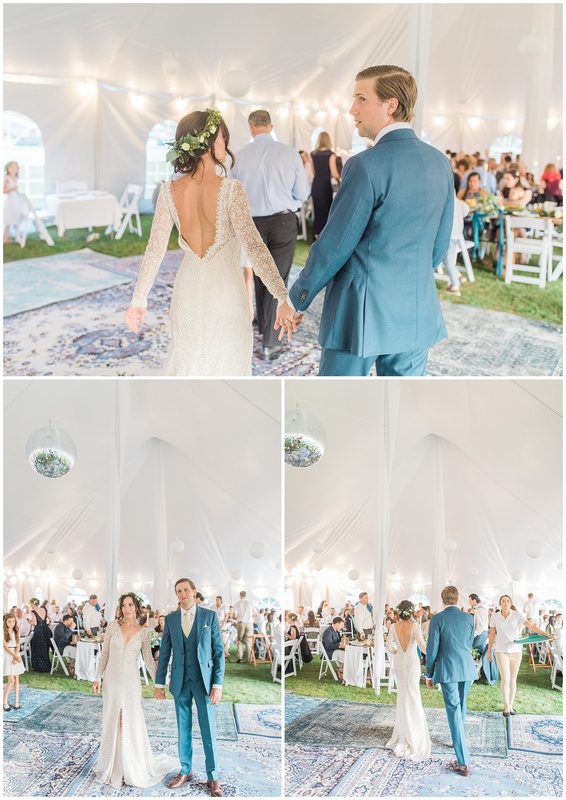 And now, the reception! 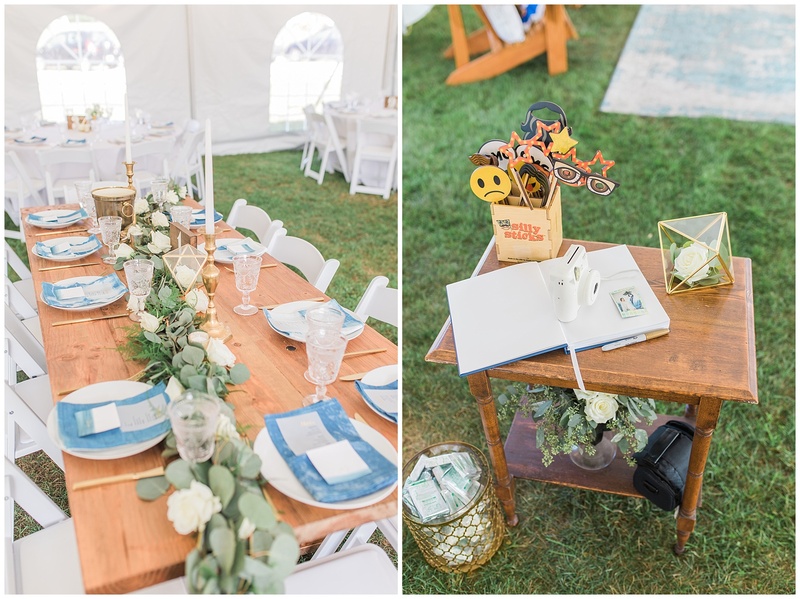 I’m still dying over this setup and all these details! 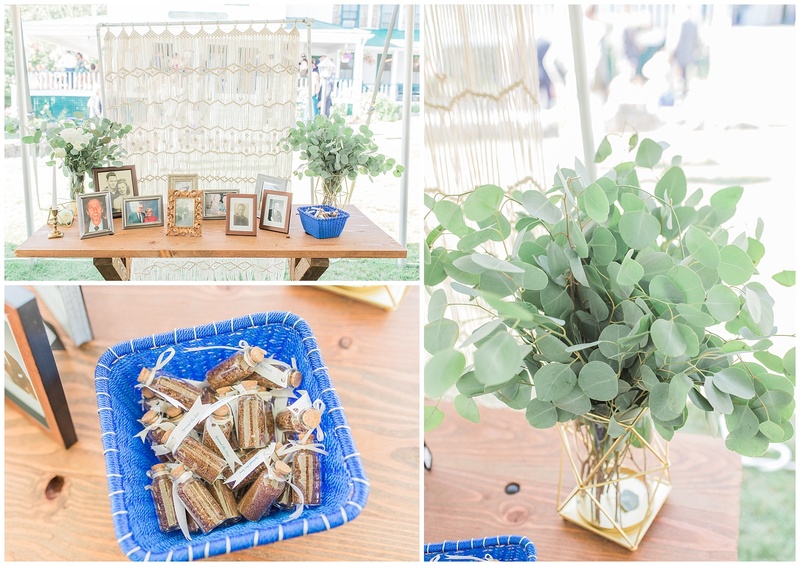 Above, you’ll see the Photo Booth area that was set up for guests to take pictures for the guest book! 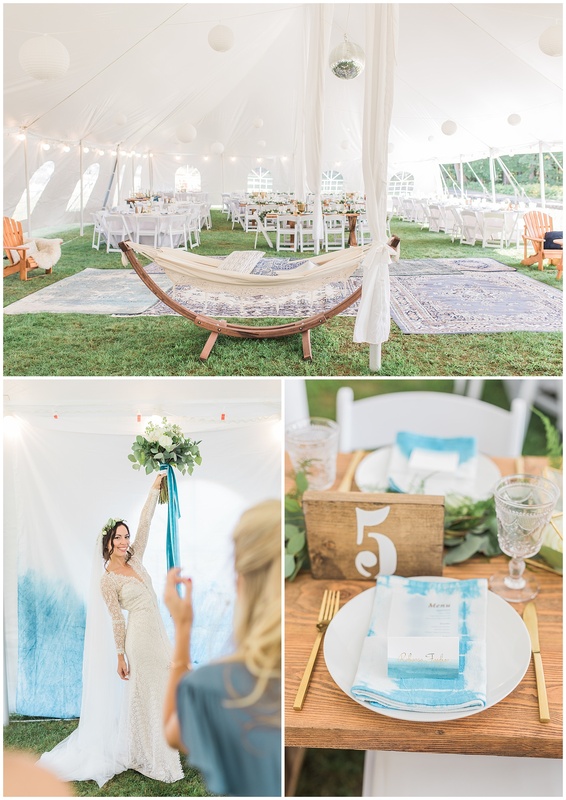 Love this hombre blue backdrop they used! 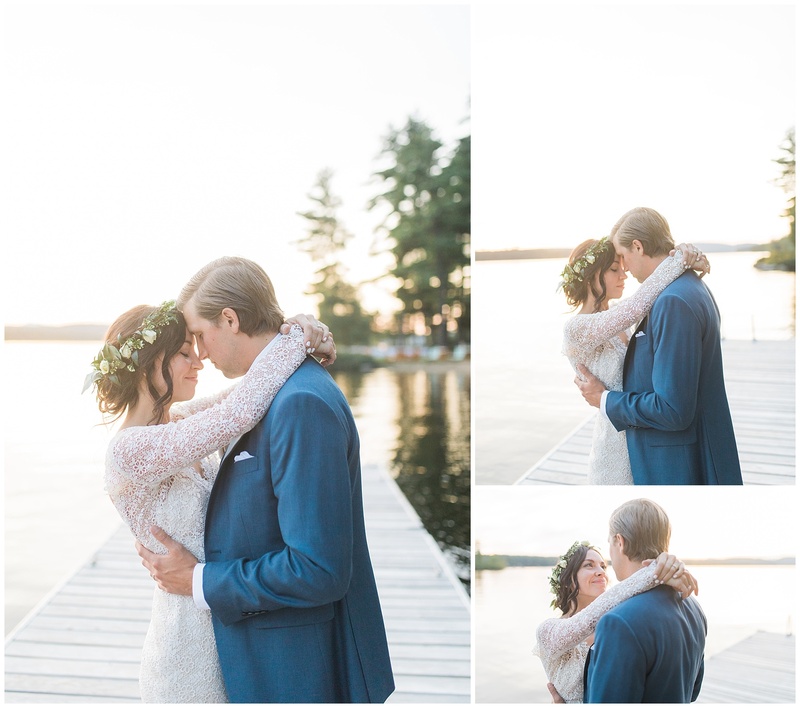 We had the opportunity to take the couple back down to the lake for some gorgeous lakeside sunset photos! 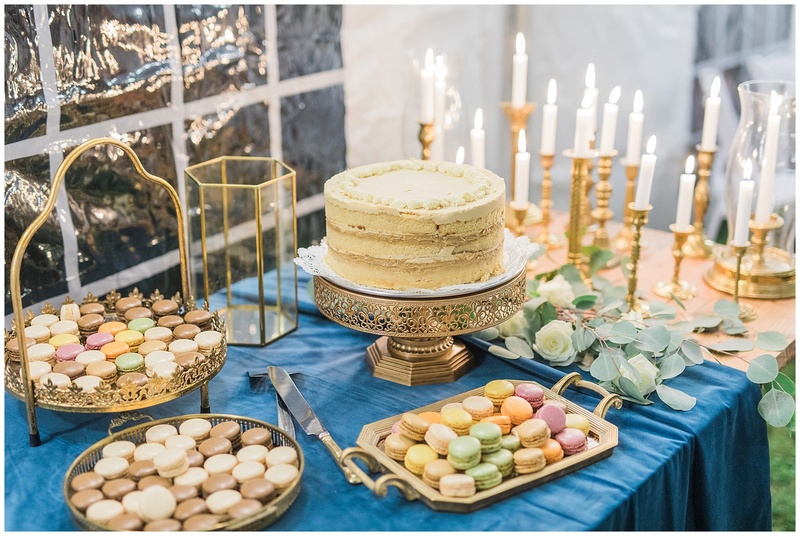 The dessert table was overflowing with colorful macaroons, a naked cake, and candles. 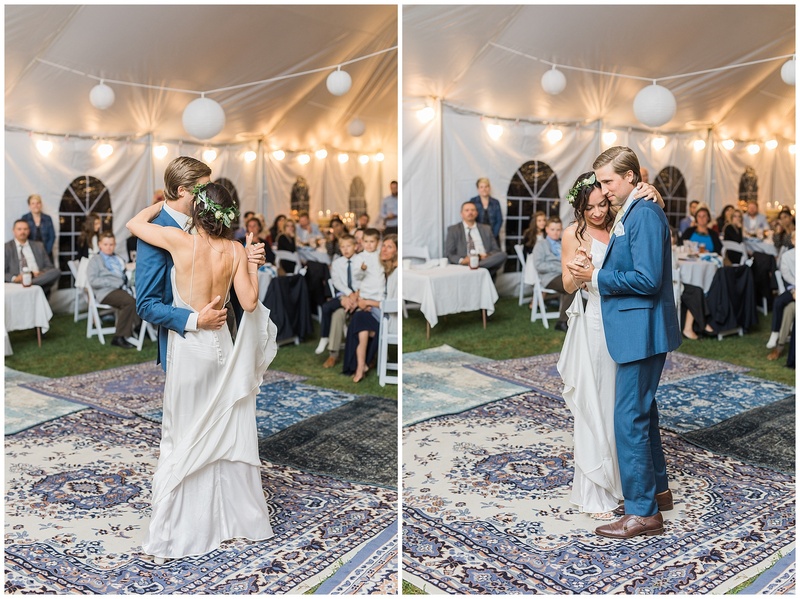 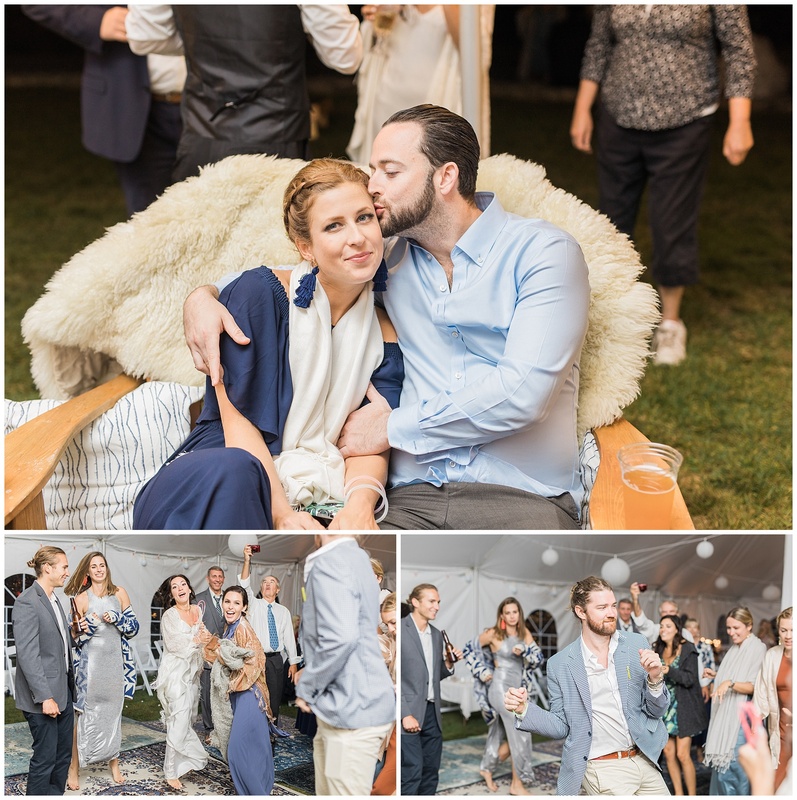 Sarah changed into a modern, sleek dress with a light shawl for the rest of the reception.